THE House of Representatives on Friday passed a law to simplify the registration of land titles and so help prevent land being the subject of fraud, white-collar crime and bureaucratic chaos, according to Attorney General (AG) Faris Al-Rawi. The Registration of Titles to Land (Amendment)(No 2) Bill 2017, whose parent legislation is Act 16 of 2000, was passed unanimously and without amendment. The AG said the bill will let the country pursue criminality as never before, saying its high time “Mr Big” or “Mr Little” be held to account. Saying the Opposition insisted the bill be debated alone, the AG urged them to now relent and let the remaining two bills in the three-bill package of land legislation be debated together. The two, the Land Adjudication and Land Tribunal (Amendment) bills, will be debated when the House sits on Wednesday at 10 am. The AG said proclamation of the parent legislation, passed 18 years ago, can occur when all three current bills are approved. Rejecting idea the land titles bill is a copy of one by the former UNC government, he said six measures are different to their old bill. The AG said this bill is related to the “follow the money” package of bills he will bring to Parliament within weeks and Government’s work to meet international obligations such as FATCA and FATF compliance. 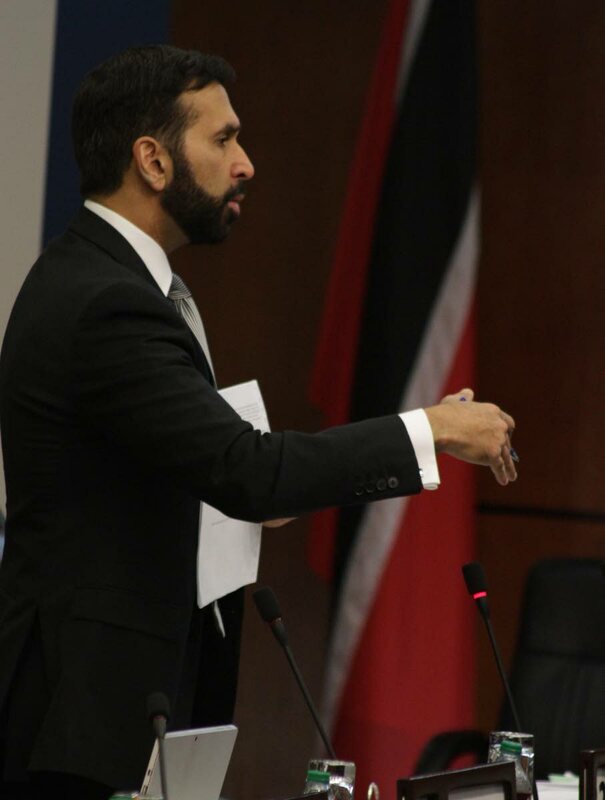 Al-Rawi said proceeds of crime are often par+ked in land, an asset now under the greatest abuse. He accused the former People’s Partnership (PP) government of perpetrating fraud in their Security of Tenure Bill. Calling it “a terrible bill”, he said it had wrongfully aimed to allow a more recent cut-off date for squatters to get certificates of comfort. “They brought a bill. They basically said to citizens, go forth and squat and do so generously.” He said that PP bill had designated broad areas where people could go and squat, including Mon Repos, Maraval, Macoya and Mt Hope. He said this was “the worst fraud” as the regularisation of squatting first requires a demarcation of land areas. On the current bill, he said the PP had brought such a bill three times and each time had let it lapse, despite them having the requisite regulations drafted since 2005. He lamented the existence of a “massive issue of fraud” of land in TT. The bill will tackle this, and be run with three other pending bills against white-collar crime. Vowing relief for Tobago, the AG said land registration in Tobago was too long and cost $60,000 per application. Of the Land Registry, the AG said despite the crash of a digitised system, the manual system of land-title search is still working. He said the Opposition has no call to celebrate the crash of the computerised system due to the former government not paying the requisite software licence. He predicted the time period to transact a land registration will eventually drop from 11 days to one day. Al-Rawi expected that from April to June the registry will move into the Government Campus offices in Port of Spain. The AG said he was shocked by the location of water sprinklers over old land documents that could be damaged by water. Reply to "Mr Big, Mr Little must pay"